Stephen E Hjelt, Administrative Law Judge, Office of Administrative Hearings, State of California, heard this matter on July 15, 2005, in Carlsbad, California. 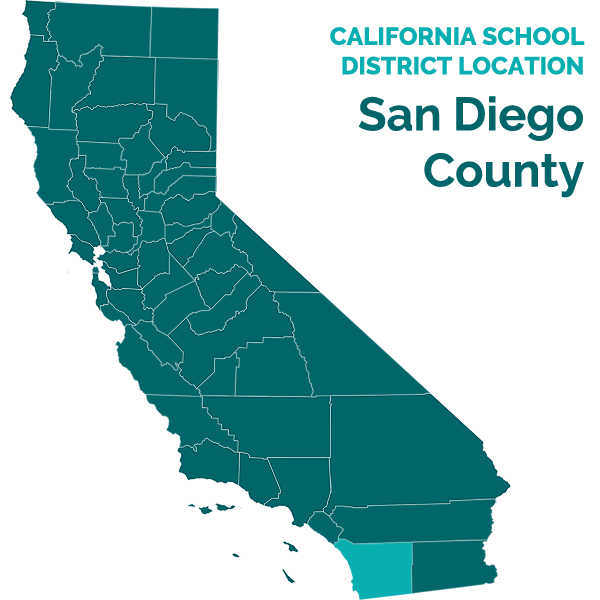 Jonathan P. Reed, Esquire, of Lozano Smith, represented petitioner Carlsbad Unified School District. Patricia Ann Lewis, Attorney at Law, represented respondent student, who did not appear. Petitioner’s father, was present throughout the hearing. On July 28, 2005, the matter was submitted. 1. Must Government Code section 7576 (b) 1-5 be complied with before an assessment can be ordered? Why or why not? 2. Assuming only for argument sake that it does, what facts and reasonable inferences in this record support a finding that Government Code section 7576 (b) 1-5 has or has not been complied with? The parties responded by filing additional argument which was received on December 9, 2005. The record was then closed. 1. Jurisdiction attaches by virtue of student’s residence within the boundaries of the Carlsbad Unified School District and his qualification for special education services as a result of qualifying under the category “emotionally disturbed.” The School District initiated this Due Process Hearing as a result of a dispute with the student over the authority for and propriety of an assessment to be conducted by San Diego County Mental Health (CMH). 1. Does Student require a mental health evaluation? 2. If student requires a mental health evaluation, should County Mental Health (CMH) be allowed to conduct more than a record review? 3. Does the Office of Administrative hearings (OAH) have authority to order a mental health evaluation by CMH absent consent by Student’s father? 3. This case is not about placement nor is it about least restrictive environment. However, there is a subtext to this case that touches directly on those issues. 4. The student was born on August 23, 1990. He is eligible for special education services as a result of a diagnosis of emotionally disturbed. He has had many different clinical diagnoses, including ADHD, Autism, and Autism Spectrum Disorder. Although the medical and mental health professionals disagree over what is the most accurate label to attach, there is no question that student has serious mental and psychological challenges that make it impossible for him to benefit from a traditional public education curriculum. In October of 2002, Student’s father unilaterally placed Student in R.E.S.C.U. Academy (RESCU), a non-public agency located in Santee, California. RESCU provides comprehensive services including parent counseling and training, psychological services other than assessment, and social services. Student has remained at RESCU since. Student has long been qualified as a special education student by the District. There have been numerous IEPs done in the past. The parties convened IEP team meetings on June 23, 2004 and August 11, 2004 at which the District recommended a referral to County Mental Health (CMH) for a mental health evaluation. On or about August 12, 2004, the District sent parent a referral packet so that he could complete the referral to CMH. Parent did not consent to the referrals. On or about August 26, 2004, the parties met again in an IEP team meeting. Student participated in the meeting. The District again recommended a referral to CMH for a mental health assessment. Although there is some dispute about what was agreed to at that meeting, the District assumed that parent had consented and sent him another referral packet on or about September 1, 2004. The District simultaneously notified CMH of the referral and on September 3, 2004 CMH sent parent an assessment plan for consent. CMH notified parent that a mental health evaluation might consist of a client interview, review of school information, a review of previous treatment records, a parent/family interview, an observation at the school site, an interview with school personnel, and a review of pertinent medical records. On or about September 17, 2004 CMH sent a reminder letter to parent that he had not returned the necessary paperwork to initiate a CMH assessment. CMH stated that it would close the file if it did not receive the paperwork by October 23, 2004. 5. On or about October 5, 2004 counsel for the District sent parent a letter noting that parent had not returned the assessment plan, nor had he responded to CMH to provide the necessary paperwork to initiate the CMH assessment. On or about November 2, 2004, counsel for student responded to the letter and indicated that parent would not consent to a personal assessment of student as part of a mental health evaluation. On or about January 13, 2005 the parties met in an IEP team meeting. The IEP notes indicate that the District had requested records from RESCU, Dr. Joshua Feder and Dr.Karen Davidson. On or about February 28, 2005 the parties met again in an IEP team meeting. The IEP notes indicate that parent does not agree with a CMH assessment at this time. On or about May 19, 2005, counsel for the District sent counsel for student a letter in which authorizations were attached for exchange of information so that the District could obtain information from Dr. Feder and Dr. Davidson. Parent has not authorized this as of the date of the due process hearing. 6. The parties characterize the case in dramatically different fashion. District contends that this is a simple and straightforward matter. In order to carry out its responsibilities it must have the opportunity to assess the student. Student has refused. If student intends on seeking public funds for the current non public school placement, he must make himself available for an assessment at county mental health (CMH). Student characterizes the District as uncaring, unfeeling and interested only in its own money. The heroes in this case, student’s counsel argues, are student’s family (principally his father) the physicians and RESCU Academy. 7. Dr. Joshua Feder was called and testified on behalf of the student. Dr. Feder is a well qualified and well respected psychiatrist with a full time clinical practice in Solana Beach, California. Approximately 50% of his practice involves treating those with developmental disabilities. His candor and his expertise were most helpful to the trier of fact. He first saw student in 2001 and found a long history of serious emotional difficulties including severe behavior discontrol. He did a psychological assessment in the spring of 2001 that included interviews with student’s mother and father and review of school records. His goal at the time was to try and find the best way to manage and promote student’s biopsychosocial needs through the use of medication and proper placement. He diagnosed student with Autism but acknowledged that there have been other competent mental health practitioners who have chosen different diagnostic criteria in the DSM. What is agreed on is that student needs a great deal more than the regular education program can offer him. His behaviors and challenges make him unsuitable to be on a typical school campus. 8. Dr. Feder testified and established that student, in the intervening years, has made some progress in some areas but that his basic problems remain. The progress is shown in that he is not acting out aggressively and sexually and he has made decent academic progress in the 2004-2005 school year. For student, according to Dr. Feder, this is a big deal. Dr. Fader helped with the placement at RESCU. It provides student with what he needs academically and on a psychosocial level. It is Dr. Feder’s opinion that student is doing OK and making progress and everyone should stay the course. 9. Dr. Feder noted that student seemed to regress during an evaluation done by the San Diego Regional Center in August 2001 and student was hospitalized thereafter. However, Dr. Feder did not testify that there was a causal link between the two. He did testify that student was agitated and violent after the evaluation. After numerous failed placements, Dr. Feder recommended that student go to RESCU because it was small enough and structured enough to handle student’s behaviors. It had a wrap-around component that provided resources to student and family 24 hours a day seven days a week. At the present time the school is an alternative to residential placement for student. 10. Dr. Feder testified that he felt that RESCU was the most appropriate placement for student and provided him with the least restrictive environment. He also opined that an assessment by County Mental Health would potentially be harmful to student. According to Dr. Feder, student is already at the highest level of care at the school. He is the “toughest kid” at the school. Student has already been suspended twice because he was violent. Dr. Feder fears that if student is evaluated by strangers at CMH, he will get agitated and violent and this could put his placement at RESCU at risk. Dr. Feder felt that student does not require residential placement at present. Student is under reasonable control and making progress academically and socially. 11. The core of Dr. Feder’s testimony expresses deep concern about the welfare of the student. He is an advocate for his patient in the best sense of that word. He was also very helpful to the court in that he couched his opinions in terms that conveyed the ambiguity and difficulty of an accurate diagnosis and the challenge of finding causal links when there is a dearth of reliable data. In other words, Dr. Feder respected the truth so much that he did not, or tried not to, speculate. 12. Dr. Feder did not establish as a matter of reasonable medical probability that student would be harmed by an assessment conducted by CMH. He fears that it might be so. Student does not do well with transitions and new and stressful situations. However, student was apparently not harmed during presence at an IEP that had approximately 15 people present at the District office. This is the only placement that seems to have worked in any reasonable fashion for student. All other placements failed. Student has been assessed in a variety of contexts in the past. He doesn’t need another one. Furthermore, RESCU is not vendored by CMH so to the extent that CMH recommends some type of placement or service it CANNOT be RESCU. 14. This concern runs head on into the requirements of the Education Code and the responsibility of the District. Once again, this case is not about whether student is appropriately placed at RESCU. It may well be that he is…or not. That was not and is not an issue in this case. It may well be in the next one. 15. Student’s father Tom testified at the hearing about student’s development and progress. He was sincere and articulate and devoted to the well being of his son. His wife (and student’s mother) died in 2002 and it has been very difficult for father and son since. He testified that student is stable although this term is quite relative. As he describes, student is stable for student…last year I was being hit…this year I’m not. He sees an improvement in student although he recognizes that there are generally no problems as long as student is allowed to do what he wishes. He feels that an assessment by CMH is not in student’s best interest. Before her death, student’s mother opposed prior requests for such an assessment. The father testifies that he will seek public funds to pay for the private placement of student at RESCU. The father is also adamant that he will not consent to such an assessment and if he is required to pay for student’s schooling on his own he will do so. The father would consent to a record review done by CMH but nothing more. He would not allow the interviewing that would take place during a typical CMH assessment. Wilson testified that if a student is emotionally disturbed, the District would routinely and typically bring in County Mental Health to help. Wilson also testified that he was present and observed student at an IEP in April 2004 with approximately 15 people present and student was well behaved and seemed to tolerate the experience well. Wilson sees no reason why student could not participate without problem in a CMH assessment. 17. Laura Culligan, the Chief of Operations at San Diego County Mental Health, testified about the purposes and content of a mental health assessment. She identified AB 2726 as a school related program for children with mental health issues that interfere with their ability to benefit from special education. Under this program, as implemented by CMH, one of the outcome following an assessment is the recommendation of “no services.” This would be likely if a student is at grade level. The evaluation generally starts with an interview with the parent and then an interview with the student. The interview would seek data consistent with that derived from a typical mental status exam. What are the student’s mood and behaviors? Such an interview could take as little as 20 minutes up to an hour. Culligan’s opinion is that the standard of care in the performance of such an assessment requires a face to face interview. A record review alone is inadequate. 1. The Individuals with Disabilities Education Act (IDEA) provides federal funding to state and local educational agencies who must then provide educational opportunities for students with disabilities. The purpose of IDEA is “to ensure that all children with disabilities have available to them a free appropriate public education that emphasizes special education and related services designed to meet their unique needs and prepare them for employment and independent living.” 20 U.S.C. § 1400(d). A free appropriate public education (“FAPE”) is one provided at public expense, under public supervision and direction, and in conformity with an individualized education program (“IEP”) which is developed for the child. Id. § 1401(8). The obligation to provide a FAPE does not require a state to “maximize each child’s potential.” Board of Education of Hendrick Hudson Center School District, Westchester County v. Rowley (1982) 458 U.S. 176, 198; see also 20 U.S.C. § 1401(8)(D). IDEA contains numerous procedural steps that a state must follow in order to properly design and implement an IEP. See 20 U.S.C. § 1414(d); O’Toole v. Olathe District Schools Unified School District No. 233 (10th Cir. 1998) 144 F.3d 692, 698. The district is responsible for assembling an appropriate IEP team to draft and then implement a disabled student’s IEP. 20 U.S.C. § 1414(d). The IEP is the blueprint for successfully formulating and achieving the goal of IDEA. Murray v. Montrose County School District (10th Cir. 1995) 51 F.3d 921, 925; see also 20 U.S.C. § 1401(11). IEPs should provide a “basic floor of opportunity” consisting of services that are “individually designed to provide educational benefit” to a child with a disability. Rowley, 458 U.S. at 201. In California, Education Code section 56341.1 requires, among other matters, that the IEP team consider strengths of the pupil and the concerns of the parents for enhancing the education of the pupil, as well as the results of the initial assessment or most recent assessment of the pupil. IDEA also mandates several substantive requirements, including the requirement that students with disabilities be educated in the least restrictive environment (“LRE”). 20 U.S.C. § 1412(a)(5); Murray, 51 F.3d at 925-26. The LRE component of providing a FAPE dictates that the state should integrate a disabled child with non-disabled children whenever possible. “To the maximum extent appropriate, children with disabilities, including children in public or private institutions or other care facilities, are educated with children who are not disabled, and special classes, separate schooling, or other removal of children with disabilities from the regular educational environment occurs only when the nature or severity of the disability of a child is such that education in regular classes with the use of supplementary aids and services cannot be achieved satisfactorily.” 20 U.S.C. § 1412(a)(5). “(a) Beginning at age 14, or younger, if determined by the individualized education program team pursuant to paragraph (1) of subsection (b) of Section 300.347 of Title 34 of the Code of Federal Regulations, a statement of the transition service needs of the pupil shall be included in the pupil’s individualized education program and shall be updated annually. The statement shall be included under applicable components of the pupil’s individualized education program that focuses on the pupil’s courses of study, such as participation in advanced-placement courses or a vocational education program. (b) Beginning at age 16 or younger and annually thereafter, in accordance with Section 56462 and paragraph (30) of Section 1401 of Title 20 of the United States Code, a statement of needed transition services shall be included in the pupil’s individualized education program, including whenever appropriate, a statement of interagency responsibilities or any needed linkages. (1) Is designed within an outcome-oriented process that promotes movement from school to postschool activities, including postsecondary education, vocational training, integrated employment, including supported employment, continuing and adult education, adult services, independent living, or community participation. (2) Is based upon the individual pupil’s needs, taking into account the pupil’s preferences and interests. (3) Includes instruction, related services, community experiences, the development of employment and other postschool adult living objectives, and, when appropriate, acquisition of daily living skills and functional vocational evaluation. A parent of a child with a disability may contest any action by the school district that the parent believes deprives the child of a FAPE. 20 U.S.C. § 1415(b)(6). The educational agency must then provide the parent with an impartial due process hearing to evaluate the complaint. 20 U.S.C. § 1415(f). 2. An IEP need not conform to a parent’s wishes in order to be sufficient or appropriate. Shaw v. District of Columbia (D.C. 2002) 238 F.Supp.2d 127, 139 (stating that the IDEA does not provide for an “education . . . designed according to the parent’s desires,” citing Rowley, 458 U.S. 176, 207). Technical deviations from procedural requirements in developing an IEP do not automatically lead to the conclusion that the IEP is invalid. Urban v. Jefferson County School District R-1 (10th Cir. 1996) 89 F.3d 720, 726. Rather, “there must be some rational basis to believe that procedural inadequacies compromised the pupil’s right to an appropriate education, seriously hampered the parents’ opportunity to participate in the formulation process, or caused a deprivation of educational benefits.” O’Toole, 144 F.3d at 707. 3. It is the position of the parent that student attend RESCU for the 2005-06 school year at public expense. RESCU provides multiple services but much of those services can accurately be characterized as mental health services. In order to properly and adequately evaluate student’s mental health needs, CMH must be allowed to conduct a mental health evaluation. Such an evaluation, to satisfy the standard of care in the professional community and common sense, must be more than a record review. It must be without restriction. 4. Authority vests in OAH under the IDEA and California Law to order a mental health assessment in the absence of parent’s authorization. Both federal and state law make it clear that before conducting an assessment, the District is required to secure parental consent. (20 U.S.C. Section 1414(a)(1)(C)(i); Cal. Ed. Code section 56321(c).) However, the District may proceed with an assessment by seeking a determination through a due process hearing that such assessment is necessary. (20 U.S.C. Section 1414(a)(1)(C)(ii); Cal. Ed. Code sections 56321(c), 56501(a)(3).) In this case the District seeks to obtain a mental health evaluation from CMH so that it can develop an offer of a FAPE for the 2005-06 school year. Under both federal and state law, OAH has the authority to order such an evaluation if it is found necessary for the purpose of developing an offer of a FAPE. 5. A Mental Health Evaluation is Necessary and Required in order to develop an offer of FAPE for the 2005-06 school year. California’s legislature enacted a variety of statutes to deal comprehensively with the responsibility of providing services, including mental health services, to children with disabilities. California Government Code sections 7570-7588 set forth the inter-agency responsibility for providing such services. A student can be referred to CMH by a school district, IEP team or a parent in two different situations. First, the district, IEP team or parent can refer a student to CMH for assessment of the student’s social or emotional status pursuant to the special education assessment provisions of Education Code section 56320. see Ca. Gov. Code section 7576(b). Second, a District can refer a special education student or a student suspected of having special education needs based on preliminary results of an assessment under section 56320. In either case, the student must be suspected of needing mental health services. It is beyond dispute that the student is “reasonably suspected of needing mental health services.” The student has a long history of severe social, emotional, and behavioral difficulties that have been confirmed from multiple sources. On August 24, 2001 the San Diego Regional Center (SDRC) conducted a psychological evaluation of student. The evaluator noted that student demonstrated “a long history of high energy and marked behavior problems.” On September 25, 2002 the District and parent convened an IEP team meeting pursuant to parent’s request to review student’s behavior. The IEP team reviewed a statement from student’s psychiatrist Joshua Feder, M.D. Dr. Feder recommended a “mental health based program that includes 24 hours wrap around support to his father.” Even the IEP note indicated: “The NCCSE Program/Specialist questions Mr. Procter about CMH referral. The paper work application must be completed. Mr. Procter’s representative reported that [student] needs a mental health component.” On September 26, 2002, parent sent a letter to the District requesting that it place student at RESCU. Mr. Procter stated, “Please transfer him to RESCU Academy in Santee for a year where they have the mental health facilities to better deal with [student].” On January 23, 2003, RESCU developed goals and objectives in the areas of (1) diverting obsessive/compulsive thoughts; (2) relieving anxiety rather than resorting to harmful/inappropriate behavior; (3) impulse control; (4) problem solving communication; (5) counseling for gender identity issues. On January 14, 2005 District psychologist Bill Wilson, Ph.D. completed a psychological evaluation of student. Wilson recommended a referral to CMH for a mental health evaluation. Wilson testified that student has a long history of social, emotional and behavioral problems that have impeded student’s ability to benefit from his education. Wilson testified that while the rate of his behavioral problems has varied, it’s intensity has been consistently high throughout his tenure in education. Dr. Wilson testified that in his opinion student’s problems are not due to social maladjustment, a temporary problem, or were of the nature that they could be resolved with short-term counseling. On or about August 4, 2004, Dr. Feder issued a statement in which he recommended continued placement at RESCU. On August 9, 2004 Karen Davidson, M.D., student’s treating psychiatrist, issued a statement in which she opined, in pertinent part, “It is my professional opinion that Matt is in need of cognitive behavioral therapy as an approach in addressing his emotional, physical, and psychological needs. In his testimony, Dr. Feder characterized RESCU as a mental health facility, akin to a day treatment center offered through CMH. He testified that student is at the highest level of care and that student has been suspended twice. He also testified authoritatively that on a general education campus student would not be safe. At both the IEP meetings of August 11, 2004 and August 26, 2004, the parties agreed that student would be eligible for special education and related services under the category “emotionally disturbed.” This eligibility category requires a student to demonstrate inappropriate behavior to a marked degree and over a long period of time. Parent testified that he has never consented to a mental health assessment of student by CMH but that he is seeking public funding of RESCU for the 2005-06 school year. It is his position that he will only allow CMH to conduct a records review and he has not authorized the District or any other public agency to obtain additional data from either Dr. Feder or Dr. Davidson. The District cannot meet its statutory mandate to develop an IEP based on assessment in all areas of suspected disability without conducting a mental health evaluation of student by CMH. Counsel for student characterized the case as the heroes versus the villains. The villains are the District and its personnel. Counsel for the student has it half right. There is no question that student has been the beneficiary of loyalty and devotion from family and friends and the mental health professionals. There is no question that student is benefiting from his current placement at RESCU. However, despite bald assertions about the “bad” folks at the District who care solely about money and their own base interests, there is nothing in this record that supports such a finding. 6. The District established that there is a need for a CMH evaluation and that it has satisfied the requirements of the law in order to obtain such an evaluation. The only way that such an evaluation would not be justified would be if it were established that the request for an evaluation was made in bad faith and was not reasonably calculated to lead to a legitimate special education goal. No such evidence has been put forth save bald assertions that the District cares only about itself. 7. Counsel for student has argued that the District’s referral to CMH was insufficient because it did not exhaust school based psychological and counseling services. Such a position is based on the language of Government Code section 7576 (b)(5) which requires the provision of those services before initiating a referral. However, the sufficiency of the referral is beyond question in this case. Furthermore, under section 7576 (d)(2), school based psychological services and counseling services are not required if they would be inadequate or inappropriate. That is clearly the case here. 1. The student requires a mental health evaluation. 2. In conducting a mental health evaluation, County Mental Health must be allowed to conduct more than a record review. This shall include an interview with student and parent as well as review of relevant school and medical and mental health records. 3. The Office of Administrative hearings has the authority to order a mental health evaluation by CMH absent parent’s consent. 1. This District prevailed on Issue 1. 2. The District prevailed on Issue 2. 3. The District prevailed on Issue 3. The District may require student to undergo a mental health evaluation at County Mental Health which shall include in person interview with student and parent.